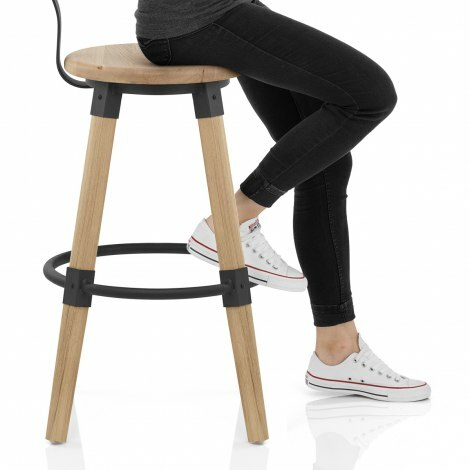 A rustic design with a modern twist, the Troy Wooden Bar Stool has a cool, industrial look. Conveniently fixed at kitchen worktop height, the Troy is a dependable model that will make a chic addition to a classic country kitchen or add contrast in a modern space. 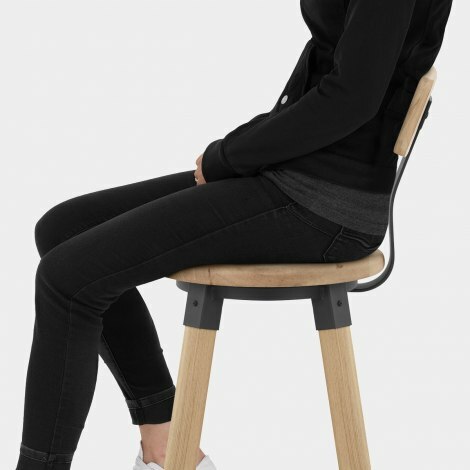 Circular in design and crafted from durable solid light wood, the seat incorporates a high backrest. The back has a rectangular design and is affixed by a black metal upright that corresponds with the frame below. 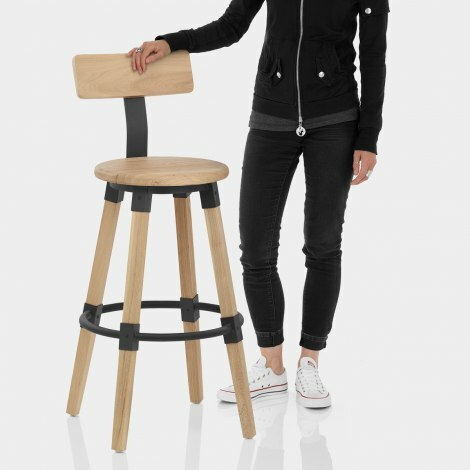 The solid wooden frame has an organic quality with its light wood finish, complemented by four subtly tapered legs. Creating a striking contrast, the seat joins and circular bracing bar footrest are formed of black industrial metalwork. Plus, protective pads are included to help prevent damage to your floors.